BMW lowered the height of the 6-series GT and gave it a more sloping rear to improve its aerodynamics. BMW hopes a more appealing design, greater variability and increased comfort will propel sales of its latest full-size Gran Turismo, which is now sold under the 6-series nameplate. 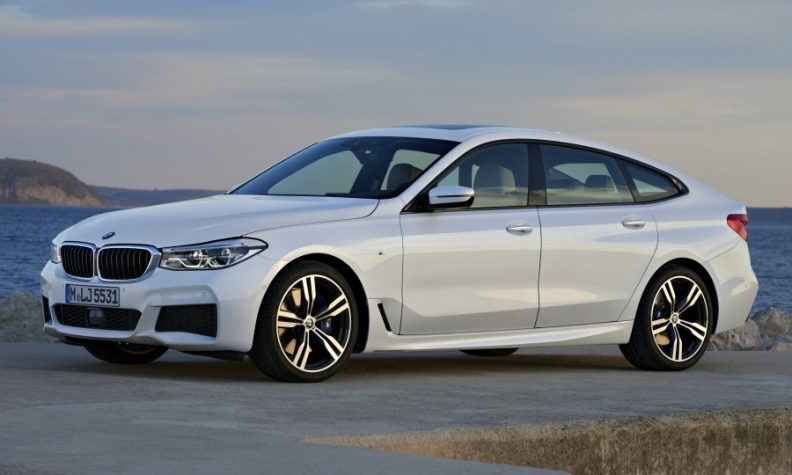 Combining the driving dynamics of a luxury sedan with the sporty aesthetics of a coupe and functionality of an SUV, the model attempts to improve on a unique vehicle concept first brought to market with the bulkier-looking BMW 5-series GT. "The new 6-series Gran Turismo is geared toward discerning customers who place great importance on individuality," BMW Group design boss Adrian van Hooydonk said. Engineers started by improving the vehicle's athleticism, cutting an average of 150kg from the vehicle despite extending the car by 87mm. BMW also lowered the car's height and gave it a more sloping tail section, which reduced the drag coefficient to as little as 0.25 versus 0.29 for its predecessor. Decreased weight and air resistance mean the vehicle can accelerate quicker without needing as much fuel. The base version with 254 hp goes from 0 to 100 kph in 6.3 seconds, down 0.7 seconds for its predecessor. Fuel consumption based on the NEDC cycle has dropped by as much as 15 percent for the higher-powered 640i version, which requires 7.0 liters per 100km. While the raised seating position common to crossovers should help its appeal to customers, BMW expects three main changes to help attract greater demand for a vehicle without any true competitor. "We increased comfort with features found in the higher classes such as dual-axle air suspension and made it more practical both with a much bigger trunk as well as greater variability," Project Manager Claus-Otto Griebel told Automotive News Europe. He said the new car offers 110 liters more luggage space than the 5-series GT. Moreover, he said the vehicle's stretched proportions meant BMW "made a huge improvement in the design with an optically lower slung roof without compromising on headroom." Griebel believes these upgrades should lift sales of the model by 30 percent during its life cycle. BMW sold 146,164 units of the 5-series GT between its launch in October 2009 and last year. Dimensions: At 1538mm, its height positions the car halfway between the 6-series Coupe and X6, while its 5091mm length and 1902mm width is virtually identical to that of the 7 series. Infotainment: BMW Connected+ is available in the 6-series GT, allowing owners to share things such as their location and arrival time at their destination with family or business associates. Drivers can also manage their calendar, email and contact data via the Microsoft Exchange function. Chassis: The dual-axle air suspension option enables owners to set the car’s ride height manually. At the touch of a button, the ground clearance can be raised by 20mm at low speeds, for example, when driving on rough surfaces or up steep inclines.